h"I'm confused. 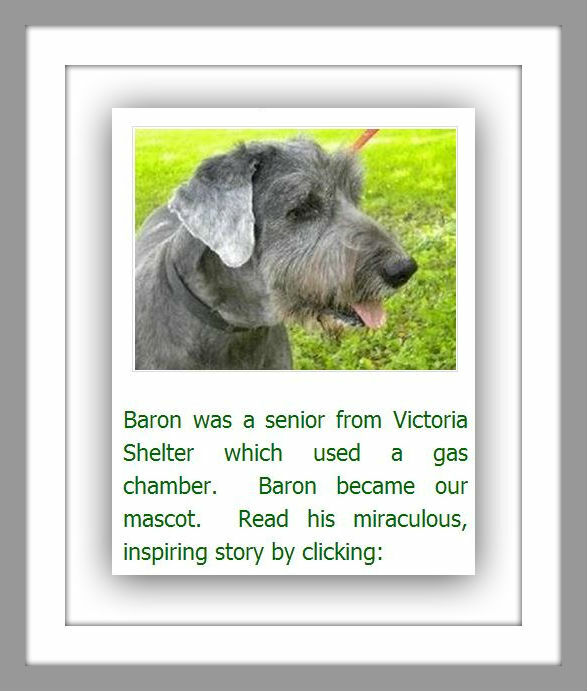 If humans say it's 'humane' to put ME in a gas chamber; then is 'humane' the opposite of human?" 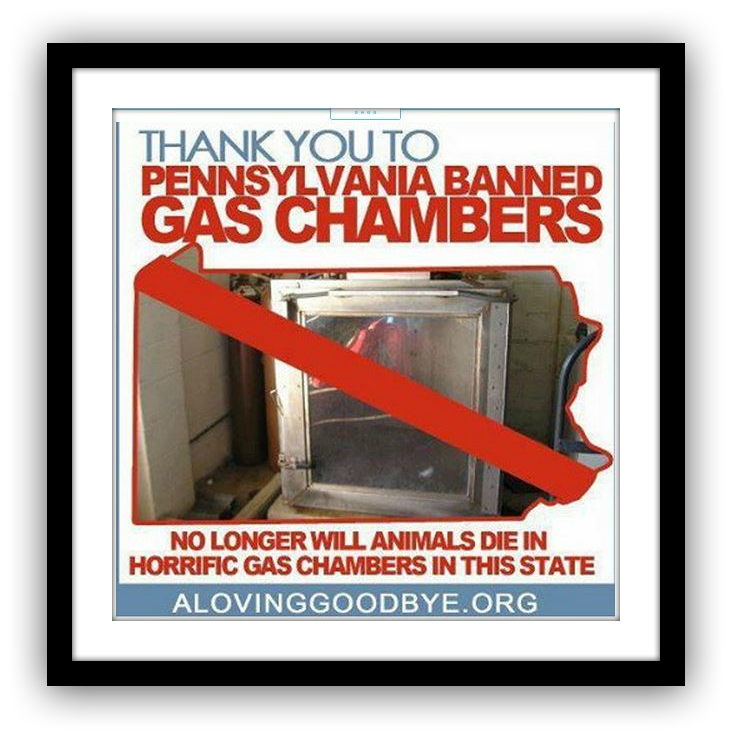 Mass gassings were a solution to save money for the city/county. Employees cram as many animals as possible into one cage to be gassed at once to be 'efficient'. When it's 'Spot's" turn to take the 'walk of death', Spot knows he's going someplace ghastly. He has to be dragged by a leash every step of the way. His nose smells death and fear. Now he's packed in with the rest of his cellmates. The door closes, locking Spot and the other dogs into a chaotic darkness of fear. The chemical fog begins to hiss and spew. Spot feels his body shaking. He instinctively claws and bites to find a way out, to escape this horrible place. His final pleas for mercy morph with the voices of all the others into a harmony of gut wrenching terror. Spot becomes disoriented by the stench of poison he is forced to breathe. He and the others can't flee, so they fight viciously, inflicting misery on top of misery. The human 'guards' can't stomach all the agonizing guttural sounds coming from 'the chamber'. They leave to shut the sounds out of their own minds. Then seizures, vomiting, and defecating begin. Horror is not an adequate definition for what is happening to all the dogs inside 'the chamber'. Spot's mind is alive and aware of what is happening to him for 30 agonizing minutes. Then his torment ends. If they are man's best friend, who are we? What has happened to us? N.A.B.S. 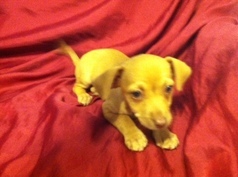 saves as many lives as they can financially afford to save. N.A.B.S. works because of people like YOU who donate to help STOP SPOT'S SUFFERING! Thanks to the many volunteers and donations, Together WE CAN make a difference. 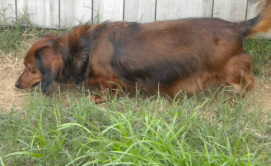 Hunter, a loving senior from Garland Shelter, eluded their heart stick. 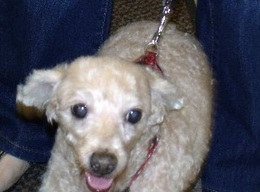 Madison is a 13 year old Apricot Poodle from Victoria which uses a gas chamber. Garrett says, "I want to forget the sounds I heard in El Campo!" 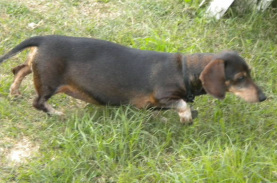 Thelma came from El Campo who uses a Gas Chamber. 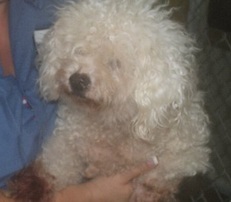 Didi, a 12 year old blind and deaf white Poodle, escaped Victoria's gas chamber. 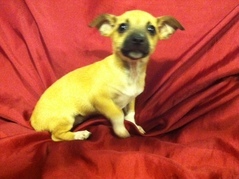 Unfortunately Liza was born in El Campo which uses a gas chamber. Fortunately N.A.B.S. saved her. 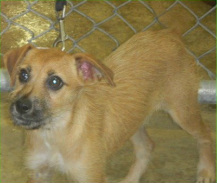 Louise was saved from El Campo's gas chamber. 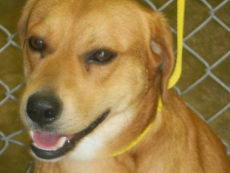 Heidi Jean, from the Garland Shelter, won't be stuck with their nasty heart stick now. She's safe!